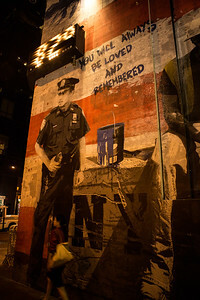 From the Brooklyn Promenade, New York. 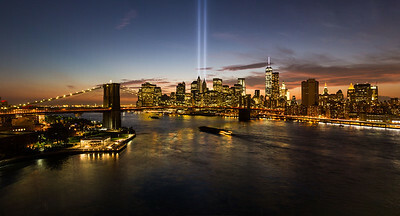 On the right is the Brooklyn Bridge, center is the Financial District, and the little green speck on the left is the Statue of Liberty. 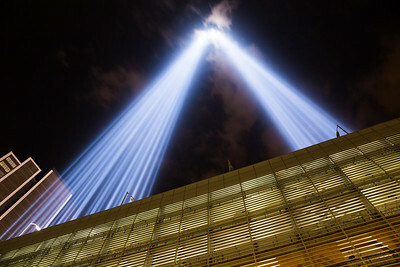 Taken from the dock under the Brooklyn Bridge, New York. 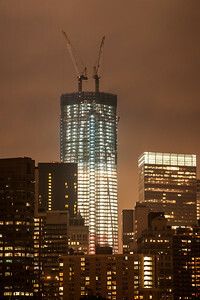 One World Trade under construction in 2011. 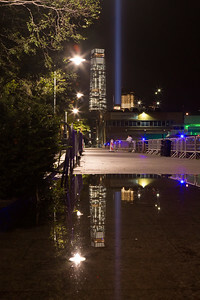 Taken from Brooklyn Promenade. 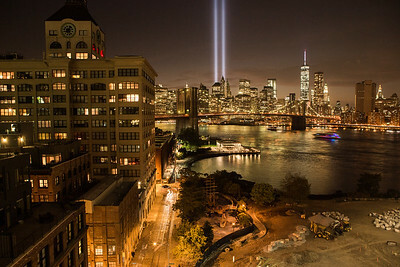 Taken from the dock under the Brooklyn Bridge, New York. 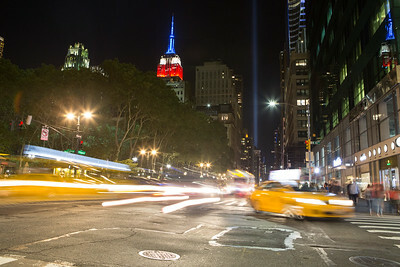 One World Trade (center), aka the Freedom Tower, is colored red, white, and blue. 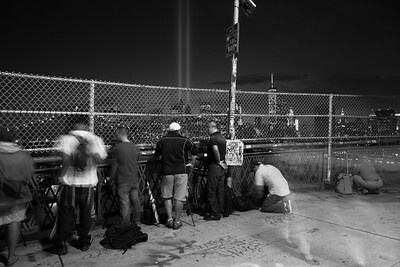 Onlookers and photographers observe the somber lights. 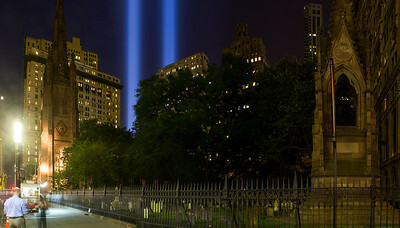 Taken from Brooklyn Bridge Park - Main Street. 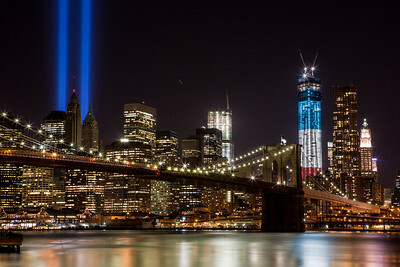 From left to right: Brooklyn Bridge, Tribute in Lights, Freedom Tower in red, white, and blue, and the Manhattan Bridge. Life continues. 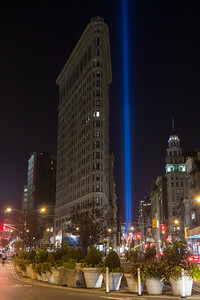 Taken from Trinity Church on Broadway. 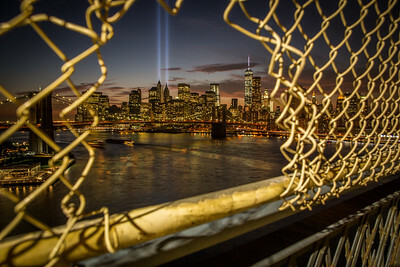 View from the Manhattan Bridge. 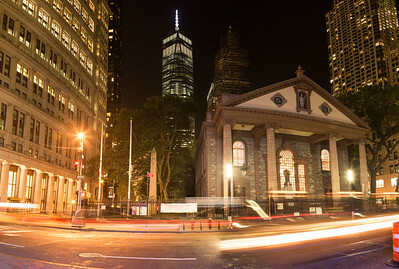 One World Trade Stands structurally completed behind St. Paul's Chapel. 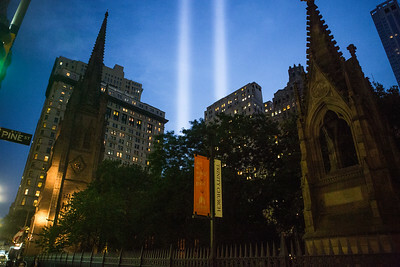 St. Paul's Chapel was untouched when the two towers fell in 2001 and because of that served as a triage site for first responders and victims of the attack. 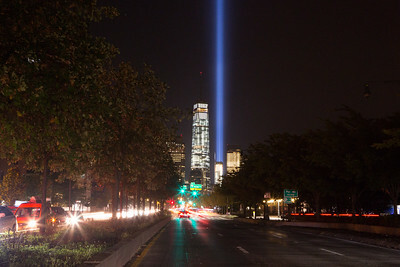 Located two blocks from One World Trade. 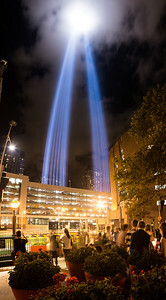 Taken immediately below the parking garage from where the artistic light installation is hosted.